Pilots, navigators and aviation personnel are some of the people that keep passengers safe during flights. The Air Navigation Team loves hearing stories about flights and experiences. 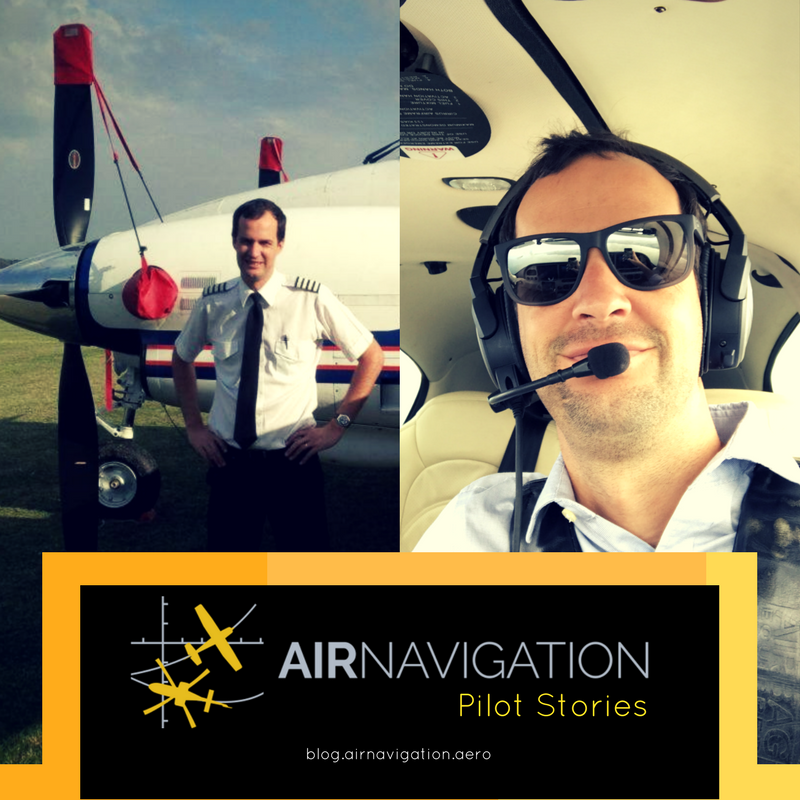 The navigation community has been very generous with stories and narratives; and one of the pilots that we are featuring today is Bruno Temporetti, President of Avinet S.A, a pilot and businessman from Argentina. He was very thrilled to share interesting events with us, and we are very happy to publish it for current and aspiring pilots. The interview has been translated from Spanish to English. Q: What made you decide to become a pilot? I've always been passionate about planes, even when I was around 8 years old. My passion grew bigger as time passed, and in 1999, when I was 17 years oid, I began my career as an airplane pilot at the Aeroclub Islas del Ibicuy. My plane back then was a Piper PA 12, which I still occasionally fly when the opportunity presents itself. Q: What are the kinds of aircraft you fly? I fly several types of small aircraft, since part of my job is to make ferry flights. Currently, what I fly the most is a SR22 G3, in which I take every year from Argentina to the USA and back. Q: What is your most memorable flight experience? It would be difficult to describe a single instance. I have several in mind, since most of my flights with small planes across America are memorable to me. Q: What is your dream flight destination? There is no particular place that I want to land, I've traveled all over America and I know a lot of incredible places. But if I had to call a venue "my place in the world" it would be our Hangar, No. 37 at Gral Rodriguez (GEZ) Aerodrome. Q: What made you use Air Navigation Pro and why do you continue to use it? I don't want to exaggerate but I think the main reason I use Air Navigation Pro is since it's on the market. I use it all the time on my cell phone (to program flights) or as a navigation tool on my tablet. I often fly planes that have unfamiliar navigation equipment. I don't know if they work 100%, if I can quickly become familiar with them. I know that my tablet with Air Nav Pro works perfectly, I know how to use it and configure it and I have it programmed before sitting on the plane. However, I'm sure that only with my tablet, a VHF and a Transponder, I can bring an airplane from anywhere without running any type of risk. I will tell you tales, which I think you'll find interesting. I have sent a photo of the cabin, a Mooney Ovation Year 2006. When I started my first section of the ferry flying from KACJ to KFXE, I began to program the flight route to South America and I got saw that the G1000 does not have the database (nav data) of America, so it did not have any type of information of the airports, air spaces, etc. for the rest of the flight, as the weather database was primitive, since the ferry made it between the passage of Hurricane Irma and Maria, I could not waste time in updating the database. So with my Ipad I made all the navigation from KFXE to GEZ, I only loaded the WPT (with the air nav pro) to the G1000 to be able to use the autopilot in GPSS mode. Previously I brought another airplane a Comanche PA-24-400 N8505P, with a garmin GTN750, in the middle of flight I was without satellite signal (not GPS Position) I broke the antenna. What I did after that? I continued flying with my tablet from Punta Cana, MDPC, to Gualeguay GAA, Entre Ríos, Argentina. I guess that is enough explanation as to why I use and will continue to use Air NavPro! Q: What do you do when you're not flying? In relation to my work, I have a company that is dedicated to the purchase and import of aircraft (www.avinet.com.ar). During my free time, I spend time with my family, which is the most important to me. My wife and I have been together for over 15 years and we have a 3-year-old daughter, Paula. They are my treasures. I hope you will let me promote my company since I'm very excited about this venture. Do you have a cool Air Navigation Pro story and you want to be featured on our blog? Send us a message in one of our social media accounts Facebook, Instragram or send us an e-mail at gama@airnavigation.aero.